Kobe Bryant's season is officially over after having surgery to repair his torn right rotator cuff today. 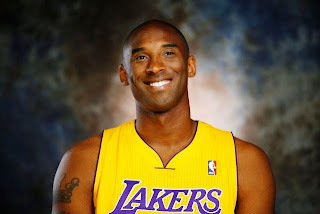 The Los Angeles Lakers also made it official that their superstar doesn't believe his career is finished. Bryant is expected to need nine months to recover from his third straight season-ending injury. If Bryant meets that timetable, he could return to basketball shortly before the start of the 2015-16 season - and the Lakers expect to see him in purple and gold again. Neal ElAttrache and Steve Lombardo performed the two-hour surgery at the Kerlan Jobe Orthopaedic Clinic in Los Angeles. "I expect Kobe to make a full recovery, and if all goes as expected, he should be ready for the start of the season," ElAttrache said in a statement provided by the Lakers. The Lakers formally declared Bryant out for the year by acknowledging the expected recovery time from his injury, but also effectively confirmed he won't retire and will attempt to play his 20th season in the fall. Bryant, who will be 37 years old this summer, is the NBA's highest-paid player at $23.5 million this season, and he is under contract for $25 million next year. "In my mind right now, he's coming back next year, unless he tells me something different," coach Byron Scott said at practice Wednesday. Scott already had acknowledged Bryant was highly unlikely to play again this season for the flailing Lakers (12-34), who will match their franchise record for futility if they lose their 10th consecutive game when the Chicago Bulls visit Thursday. But if Los Angeles finishes with a top-five draft pick, the club won't have to give its first-round choice to Phoenix until next year to complete its brutal trade for Steve Nash in 2012. Bryant hurt his right shoulder while dunking last week in New Orleans, deciding on surgery shortly afterward. He is the third-leading scorer in league history and a five-time NBA champion. Bryant averaged 22.3 points, 5.7 rebounds and 5.6 assists in 35 games, but made a career-worst 37.3 percent of his shots in a wildly inconsistent 19th season. He also passed Michael Jordan for third place on the NBA's career scoring list, trailing only Kareem Abdul-Jabbar and Karl Malone. Bryant's popularity hasn't waned during his injury-plagued stretch. He was voted to the All-Star game for the 17th time this month, and he is still the Lakers' public face despite his recent prolonged absences from the court. bryant missed the 2013 playoffs after tearing his Achilles tendon late in the regular season, and he played in just six games last season before breaking a bone near his left knee. Although he has played through innumerable injuries in the past, the accumulated wear from nearly two decades in the NBA has caught up to him. Bryant sat out eight games to rest in the past month, and he played under a strict minutes limit. It wasn't enough to protect him from another major injury. Bryant joins Nash, first-round pick Julius Randle and swingman Xavier Henry with season-ending injuries already for the Lakers [One News].